Last week this little gem made it home from school safe and sound in Simon's backpack. What a very cool peek into some of his current favorite things and a little bit about how he's seeing himself (or how his teachers helped him identify some of his traits). 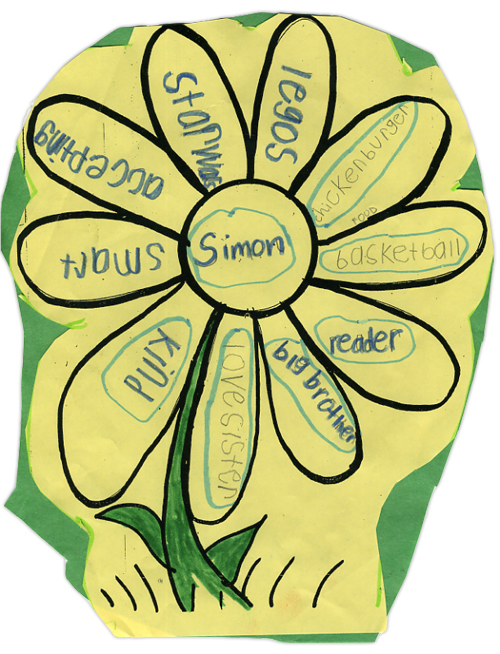 My favorite petals include "reader," "kind," and "chicken burger." I've done a variety of layouts over the years documenting our right now: things that are important to us, favorites, what we are into, etc. This is the first one in Simon's own words; in his own handwriting. Definitely a treasure to me. This weekend consider documenting your own petals or those of someone you love. Maybe involve your family members by having them identify what are the important things in their lives right now. Ask simple questions like "what's your favorite food" or "what are you really good at?" and have them write their own words if they are able. This is definitely not a complicated exercise. It's a silly little way to document a bit of your life right now. 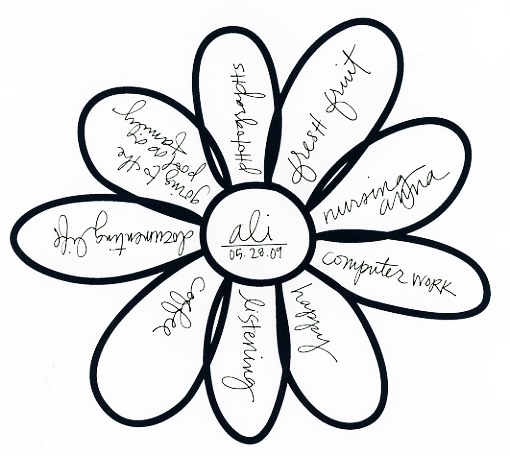 Grab a piece of scratch paper and draw a simple flower or download and print the one below. Simon's flower has 10 petals but don't worry about the number, just write. Don't forget to add the date. These flowers would make a sweet little family minibook, a nice accent on a layout of each person, or you could gather a bunch together and create a "bouquet" of all your family member's flowers. 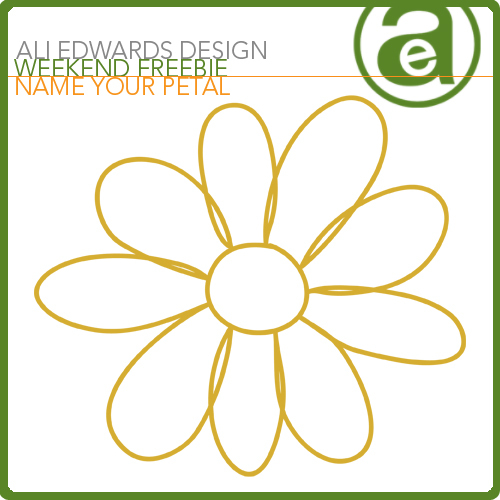 To get you started here's a simple flower download (the same one I used for my flower above) that is ready and waiting to be printed and decorated by you and your loved ones. Oh, I love this! I think I might even be able to get the family to play along! Thanks for the download. My daughter (6) is a Daisy Girl Scout. As Daisys, the girls work on earning ten Daisy petals for their uniforms, based on ten character traits. I'm putting together a scrapbook kit for each of them to record their "petal progress", and I just drew something exactly like what Simon brought home!! LOVE THAT!! Love his teachers!!! Great idea, Ali! 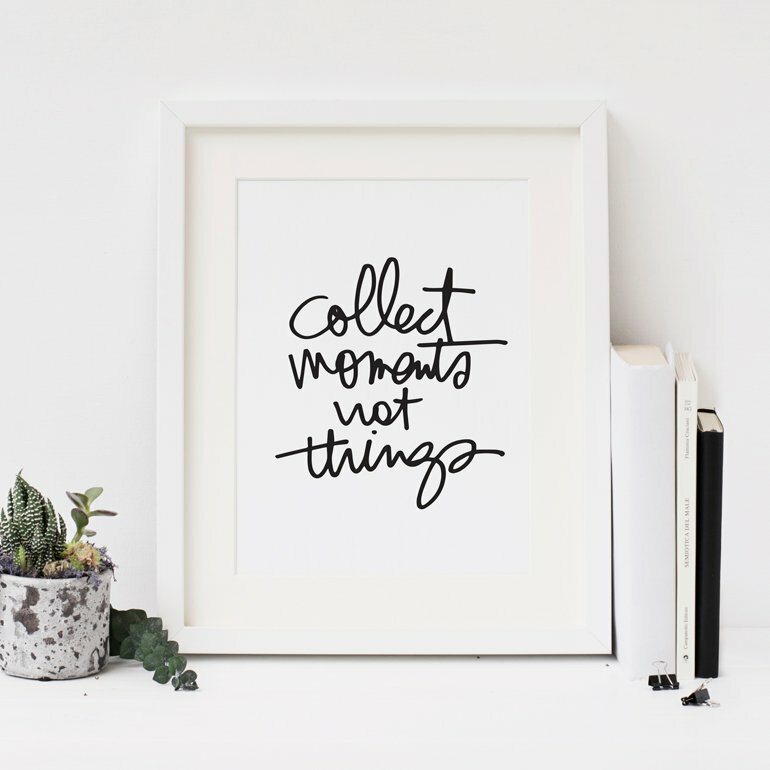 Isn't it amazing how very simple documenting our lives can be? What a great idea Ali. Thank you for the flower. Can't wait to work on it this weekend. Have a good one! Awww, what a beautiful piece of art - thank you for sharing it with us. I was having a really crappy start to the day (even though it's Friday) but this really made me smile. :) Have a great weekend, Ali! This is just great. 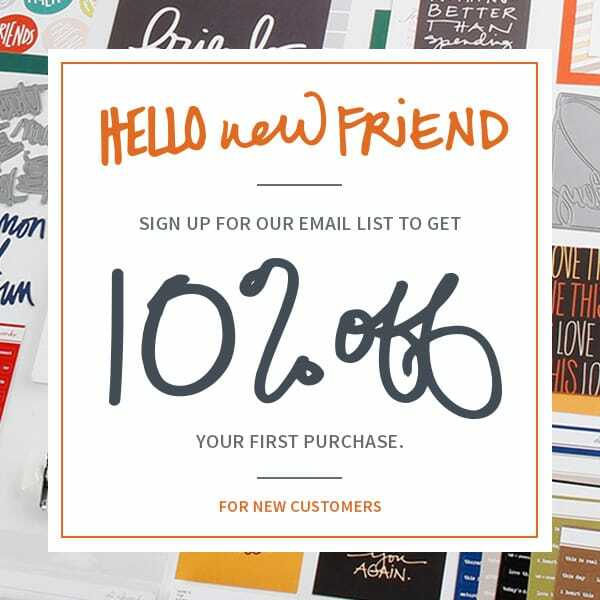 You have original artwork for your wall and you have a fun way to get to know some more about yourself and your family. Thanks so much for sharing. Thank you, Ali! What a great idea. I love those treasures that come home from school. They're one of those little "parent rewards" that only a parent can appreciate! Sweet Ali. Thanks for the inspiration. i love reading your blog because it is so full of love. Thanks. So good to see a glimpse of who Simon is right now. He's growing into such a great person. Love the idea of filling in the petals. I think I'll invite my family to join me in filling them in. Ha! Chicken burger. love that. Joanie did one of these last year as well. Okay so simple but such a great idea. Thank you for the template! A perfect idea for this weekend. so adorable and simple ali! Beautiful idea! and thanks so much for the template! Zuzu would be so happy! Isn't that brill? I work as a writer (technical) and love cute little ideas like this (might even work as an afternoon distraction for my kids!). TFS! Ali, this is off-topic, but I am in LOVE with the scarf you are wearing in your profile pic! I took up knitting a couple of months ago and would love to make something like that. Did you make it? Could you direct me to a pattern? LOVE. IT. What a great idea! I love this & thanks for the flower download. I got it at the Gap a few years back - it has a great ruffle along the edges. I love this! After a rough week, this brings me back to what is simply good about life. Thanks! Thank you for the freebie!!! It will be a great excercize to do while sitting out in our wonderful weather! Have a great weekend!